Many of you have commented and emailed me asking how to be a good wingman. I will give you my take on how to be a good wingman and share with you what me and my buddies do when were out. Avoid going to a bar or club and hanging out together in a circle. You want to be social and interact with as many people as you can in the venue. When girls or for anyone for that matter sees you being anti social and standing around they won’t perceive you as alpha men. When you notice this happening you want to stop doing it asap and empower each other. Start approaching, go talk to girls and have a fun time. One of the secrets on how to be a good wingman is you want to bring each-other up. Don’t depend on your wing to get you in state. Your job is to manage your states, get in state yourself and to bring your wingman up. As you both get good at this your positive energy will combine and you’ll bring each others state to new levels. Traditionally its been said that when you approach a group of girls one guy goes in first and then when the approach “hooks” the next guy comes in. The hook is when you see that it’s going well, the point where the girls laugh or smile. A cool little signal that I use is when I feel that the set has hooked I put my hand in my back pocket to signal to my wing that he can come in. One of the best tips for how to be a good wingman always introduce my wing to the group of girls in a positive way. Eg. Hey, This is my buddy Graham he just had the craziest party last weekend it was off the hook.” By doing this it shows the girl that both you and your wing are cool guys (you have a cool buddy, and your buddy is a cool guy). When you complement or ‘dhv’ each other it doesn’t come off as bragging because your saying something positive about another person, not yourself. One thing you want to avoid if you want to know how to be a good wingman is guys have the natural tendency to be all macho and rip on each other to show their dominance. The thing is when your making fun of each other in front of girls (or anyone for that matter) they interpret it as a sign of low value. The need to put someone down in order to feel good shows a lack of self confidence. You want to bring each other up not put each other down. Honestly the biggest tip I can give you about how to be a good wingman is for your whole group of buddies to be social and interact with as many people in the venue as you can. Instead of feeling that you need to be there to pickup girls, just focus on how you can have fun. Keep this one question in your head: How can we have fun? Don’t think about how to be a good wingman just have fun in the process and look at this as a skill-set your working to develop. Have fun with this, look at is as a game, and try to improve your skill set. As long as your having fun you’ll have fun interactions and enjoy the process. Isn’t that what social interactions and how to be a good wingman are all about? 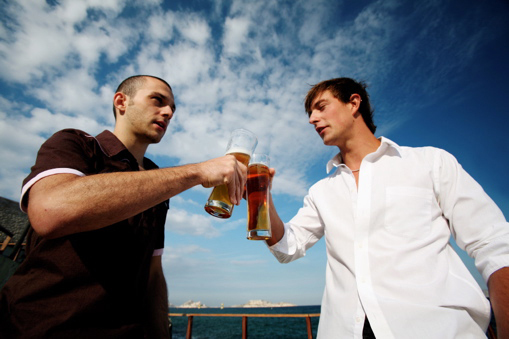 You should now have a guy idea about how to be a good wingman. Utilize these suggestions when your out with your buddies and watch for the differences in your levels of success.